Have a paper to research and not sure where to start? Use this guide! Above all, ask for help! Your professor, your subject librarian, the Writing Centre - all are people available to help you! Spending 15 minutes thinking about and getting advice about your topic will save you many hours of frustration later! Ask a librarian, your professor, or someone from the Writing Centre for help choosing a good topic. Watch this 3-minute video, Picking Your Topic IS Research, to learn how choosing your topic is part of the research process. Whether you plan to use a library database like OneSearch, or even Google, converting your topic into a structured search will get you the best results. OneSearch Lite is a huge search engine of books and articles available to you at UPEI. 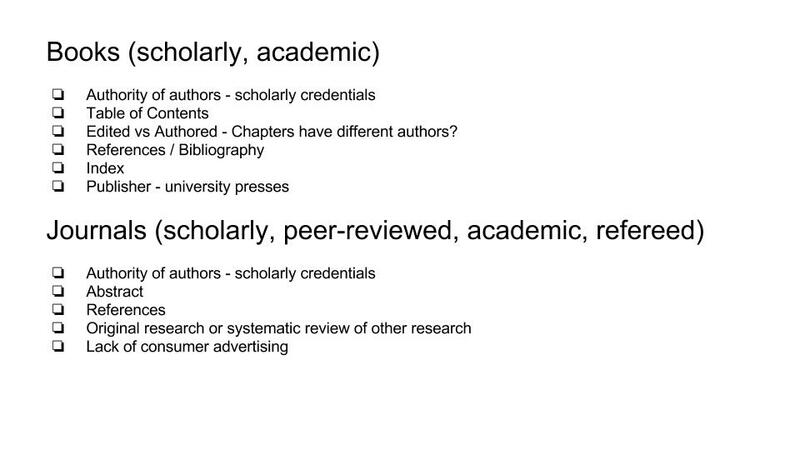 You can limit your search to only scholarly (peer-reviewed) articles, to just books, to only materials published recently, etc. Watch this 7 minute OneSearch Tutorial video to learn the basics. OneSearch has a basic "cite" feature that will help you format the citations in MLA or APA format. Look for the "cite" button at the far right inside each individual full record display. RefWorks is a more advanced tool to help you save and then format your citations in any style format. Citing Sources provides links to other sites and tutorials to help you with APA, MLA, and Chicago formats.